Where the sun also rises! The term “shin splints” refers to the pain felt in the lower leg or along the shin bone. Individuals affected by shin splints typically partake in moderate to high physical activity and can range in age. Repeated stress on the bones, muscles, and joints of the lower leg can increase the pain of shin splints. 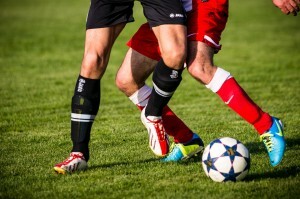 If you are suffering from shin splints, our sports injury rehabilitation in Farmingdale can help you today! Rest: avoid activities that cause pain, swelling, or discomfort. While healing, try low impact activity such as biking or swimming. Ice: apply ice to the affected area for 15-20 minutes a day for about a week. In order to protect your skin, wrap the ice in a towel before contact. Physical therapy: Muscle strength can be regained through physical therapy and guided exercise plans. If you are seeking treatment, contact Farmingdale Physical Therapy East for our sports injury rehabilitation in Farmingdale today. Shin splints can affect your day to day physical activity in many ways. At Farmingdale Physical Therapy East, our team uses the right methods for sports injury rehabilitation in Farmingdale to help you recover effectively and fully. Our care is thorough from start to finish in order to provide you with the care needed for a healthy recovery. Contact our team to get started with sports injury rehabilitation in Farmingdale. Schedule an appointment today! This entry was posted in ChoosePT, Farmingdale Physical Therapist, Farmingdale Physical Therapy, Physical Therapy, Physical Therapy in Farmingdale, Rehabilitation, Shin Pain, Shin Splints, Sports Injuries, Uncategorized and tagged Farmingdale Physical Therapist, Farmingdale Physical Therapy, sports injury rehabilitation in Farmingdale. Bookmark the permalink. Auto Accidents, How Can PT Help?